Last August James Bond author John Gardner tragically passed away just before his novel No Human Enemy was published. 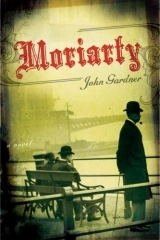 I kind of assumed it would be his final novel, however, John Gardner will return on November 10, 2008 for his third and obviously final Moriarty book which he completed before his death. 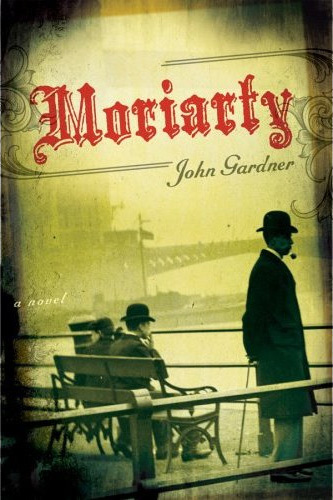 The book simply titled Moriarty will be posthumously published by Harcourt simultaneously in the UK and the US. Gardner announced via his website in 2005 that he had been contractually signed to write a third book in the series following The Return of Moriarty (1974) and The Revenge of Moriarty (1975). Gardner once said he had been waiting 25 years to write this book. Guess it took 33 just to get published, which unfortunately he won’t be able to see. I really dig the cover art.